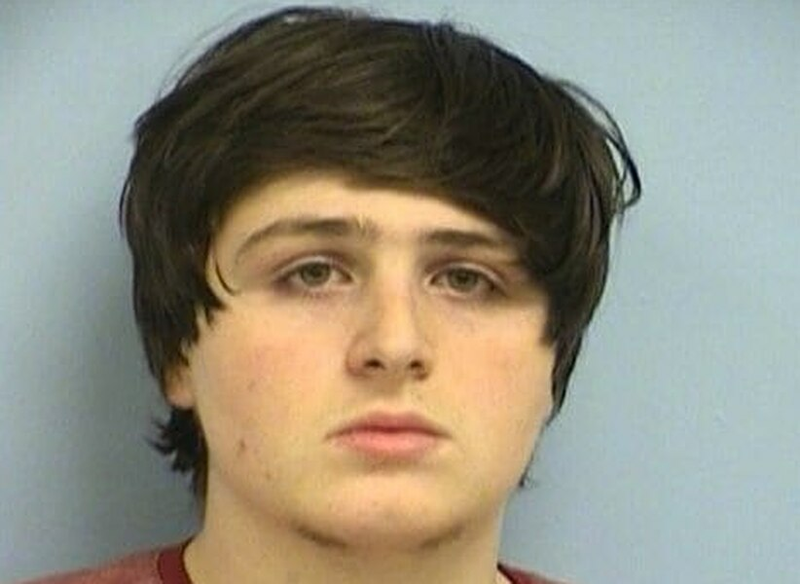 (Austin Police Department) Luca Mangiarano, 19, is accused of robbing a bank in Austin and making his escape on an electric scooter. He was arrested last week. Another bank employee spotted a man resembling Mangiarano hop on an electric scooter, police said. Investigators managed to find surveillance video that captured a man dressed like the suspected robber riding away from the crime scene — on the sidewalk, police said. Using the video, police were able to recognize a Jump scooter, police said. Because Jump — which has placed bright-red scooters in seven cities around the country — is owned by Uber, detectives sent the ride-sharing giant a court order requesting geolocation data and user information for the scooter, police said. After receiving the court order, police said Uber provided investigators with Mangiarano’s contact information — a phone number and email address — as well as a credit card number. Surveillance video taken from in front of the teenager’s apartment — which resembled still photos taken inside the bank — convinced investigators that they had identified the perpetrator, police said.